Are you looking to design and print your own business cards? Business cards are easier than ever to develop with sites like Canva or QuantumPostcards’ Design Canvas that have simple design tools anyone can use for free. Even so, it can still be overwhelming to design your own business card if you have never done so before or have little design experience. 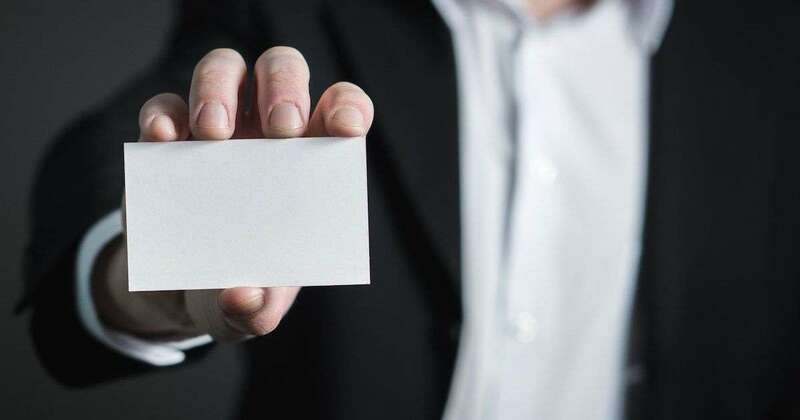 Below, we share a few business card specifications (specs) and standard tips to help you create a card that professionally reflects your brand. Tip #1: Keep it simple. That’s it. Use two to three colors maximum if you don’t go the black and white route, choosing a few prominent colors from your business’ brand. If you are creating a personal card and don’t have a branded business yet, pick two colors you like on the opposite end of the color wheel and stick to that. While we’re all for creativity, and there’s certainly room to play with creative ideas on a business card, complex imagery and busy designs should be saved for larger-format marketing materials, such as your flyers or brochures. Tip #2: Stick to standard dimensions. The standard dimensions of a printed business card are 3.5 x 2 inches. If you want your business card design to “bleed” to the edge of the card, instead of having white borders, the standard business card size with bleed is 3.75 x 2.25 inches. Printers generally trim off the ⅛ inch of space surrounding a design, which is the reason for the business card bleed. To keep all of your important information safe, keep all text inside the 3.5” x 2” margin. For readability purposes, text shouldn’t be smaller than an 8 point font and should be kept simple. No comic sans here. Tip #3: Use a professional finish. The finish of your business cards should aid in the card’s feeling of professionalism. At minimum, you should choose a high quality card stock. Next, decide if you want a matte or glossy finish. Matte can be a good option for simple, clean black and white cards and for those that like to write on their cards as they pass them out. Glossy finishes will play up business cards with color or imagery and make them stand out. In particular, a glossy finish is a good choice for cards with a headshot because it will make your photo look more vibrant. Your business cards will also be better protected from smudging and damage with a glossy finish. Ultimately, of course, the finish you choose is a matter of personal preference. QuantumPostcards provides multiple card stock and finish options to create the perfect card for your needs. We hope these tips are useful as you consider the design of your business card. While each card will be unique, sticking to basic design and printing elements will showcase the most important element of your card -- you!